The popular Rajasthani delicacy is now famous all over India. Ghevar is made during the festival of Teej. 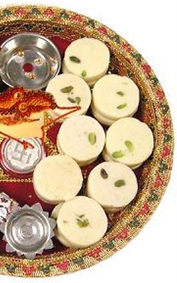 People in Rajasthan prefer to prepare sweets that can be stored for a long time and can be eaten without pre-heating. The arid climatic conditions resulted in preparing dishes that is delicicous and preservable. MM Mithaiwala brings to you the finest quality original Rajasthani Ghevar, preserving the traditional taste itself. You can feel the same awesome taste and texture of Ghevar, which Marwaris prepares for the Teej festival. The disc shaped sweet is made basically from the all purpose flour and then dipped in the sugar syrup for sweetening as well as softening. The preparation of this fantabulous sweets takes comparatively longer time and is bit complex. Only mastered hands can prepare this amazing sweet flawlessly. Chefs at MM Mithaiwala are well experienced and trained in preparing Ghevars. The freshly prepared Ghevar smells sumptuous. You can experience the magical flavour of Ghevar that tempts you to eat more and more from the MM Mithaiwala Mithai shop. Ghevar is of many varieties including Plain Ghevar, Malai Ghevar and Mawa Ghevar. All these varieties are incomparable. The unique taste of Ghevar makes an Indian, greedy enough to grab the sweet! 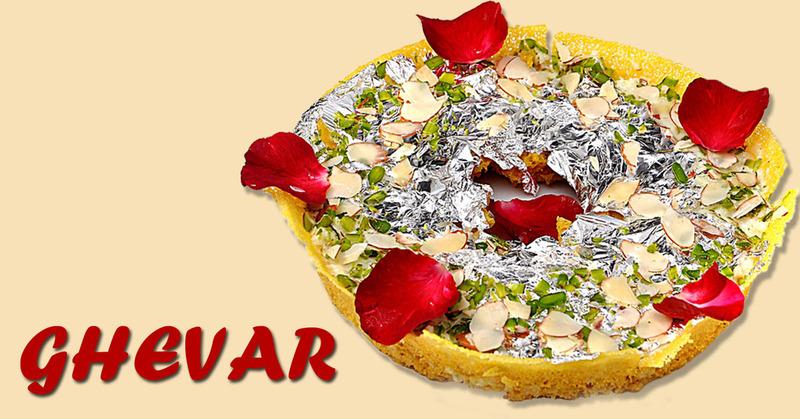 If you have not tried the extremely classy Ghevar yet, no need to wait till the Teej festival. We welcome you to the Online shop of MM Mithaiwala to order tempting Ghevar. 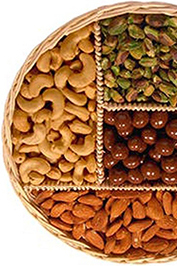 Ghevar comes in an affordable rate and rich in nutrients. There is no health hazards by consuming the traditional dishes. The lip smacking Ghevar will reach your doorstep in just an order through the Online store of MM Mithaiwala or by simply placing a call. Cash on delivery option is also available. Within the Mumbai region, free home delivery is available. Hurry, place an order and enjoy the super yummy Ghevar.